Okay so when I was putting my "In the Woods" kit together I had, as usual, made way too many background papers. I figured you may be like me and enjoy tons and tons of backgrounds too... so why not make a pack of the solid backgrounds? We can always use loads of selection for different card making and scrapbook papers. Hope that works for ya! 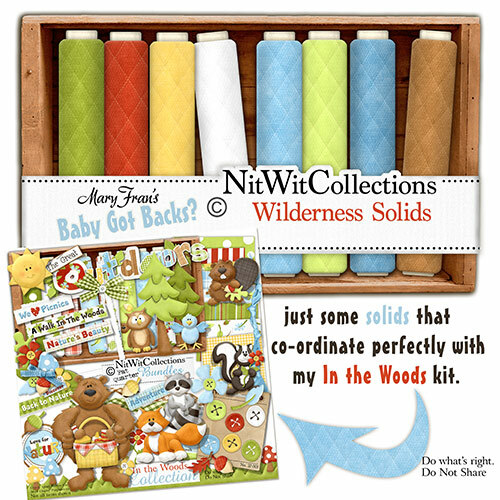 These solids also compliment my "Gone Camping" Collection and "Gone Fishing" Collection.